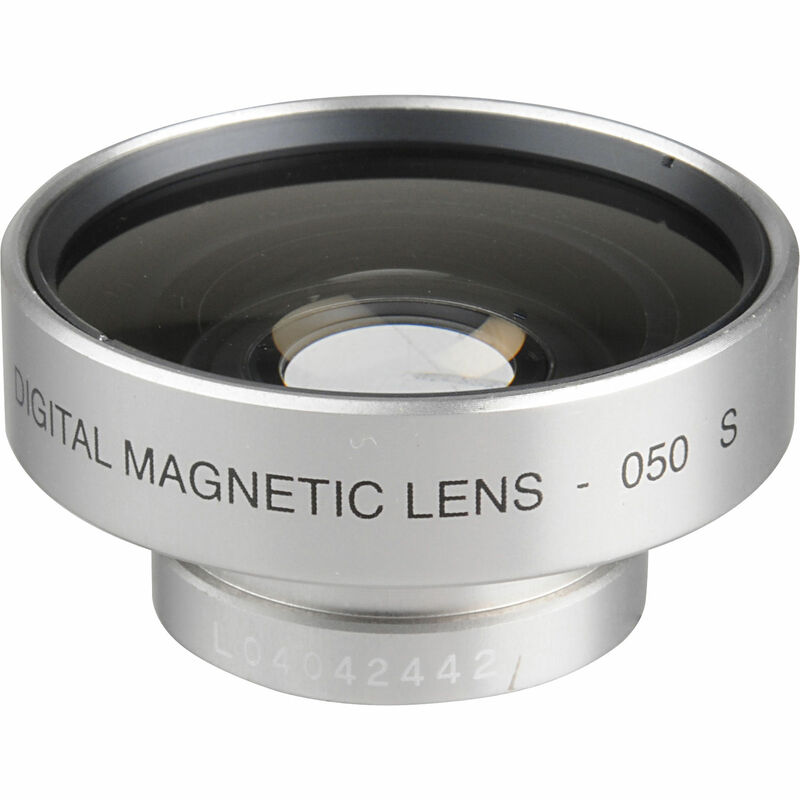 The Cokin Magne-Fix Wide Angle Lens 0.5x (Small, 20mm Outside Diameter) - The Cokin Magne-Fix lens features a magnetic attachment instead of a thread so it can be used with many unthreaded camera lenses. To attach the lens, a unique magnetic ring sticks around the camera lens and holds the telephoto lens onto the camera body. The magnetic ring can remain permanently on the camera, or can be easily removed if necessary. This lens will allow you to capture wider vistas than your normal camera's lens will. Box Dimensions (LxWxH) 2.9 x 1.9 x 0.2"